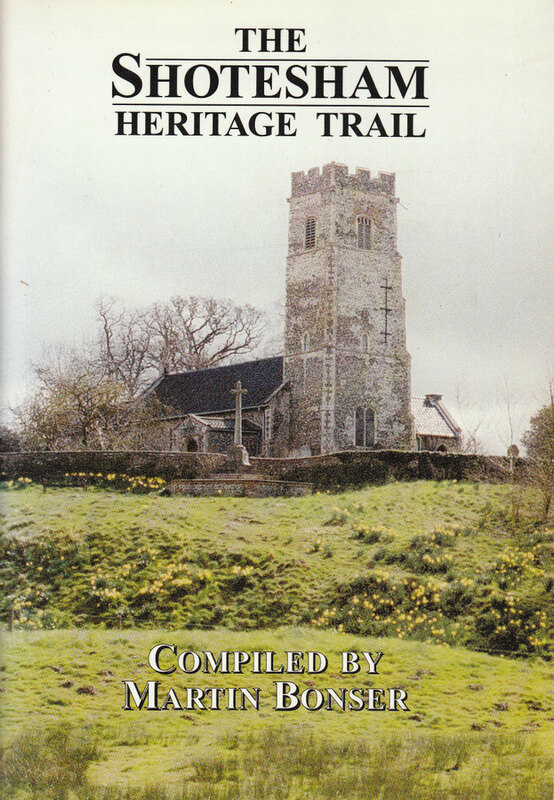 In the year 2001, as part of the Shotesham Festival (at that time held every 4 years) the Festival Association set up a “Heritage Trail” in the village. 38 interesting properties were selected and an information board was erected outside each one, giving some history and other details. 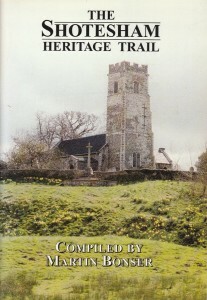 Most of the properties were private houses but the trail also included our 4 churches (2 ruined) and the chapel. In addition a booklet was published bringing all the information together in one place. We thought the information would still be of interest so have reproduced the booklet as faithfully as possible for the website and have avoided the temptation to update as we went along.